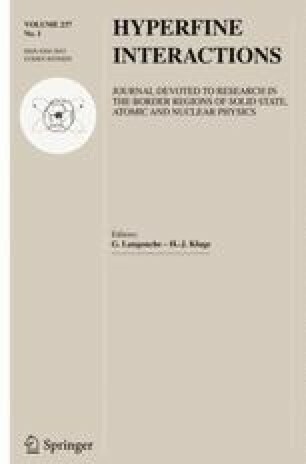 57Fe Mössbauer spectroscopy has provided precise and accurate iron redox ratios Fe2+/Fe3+ in ilmenite, FeTiO3, found within kimberlite samples from the Catoca and Camatxia kimberlite pipes from N.E. Angola. Ilmenite is one of the key indicator minerals for diamond survival and it is also one of the iron-bearing minerals with iron naturally occurring in one or both of the oxidation states Fe3+ and Fe2+. For this reason it is a good indicator for studying oxygen fugacities (fO2) in mineral samples, which can then be related to iron redox ratios, Fe2+/Fe3+. In this paper we demonstrate that the oxidation state of the ilmenite mineral inclusion from sampled kimberlite rock is a key indicator of the oxidation state of the host kimberlite assemblage, which in turn determines the genesis of diamond, grade variation and diamond quality. Ilmenite samples from the two different diamondiferous kimberlite localities (Catoca and Camatxia) in the Lucapa graben, N.E. Angola, were studied using Mössbauer spectroscopy and X-Ray Diffractometry, in order to infer the oxidation state of their source regions in the mantle, oxygen partial pressure and diamond preservation conditions. The iron redox ratios, obtained using Mössbauer spectroscopy, show that the Catoca diamond kimberlite is more oxidised than kimberlite found in the Camatxia pipe, which is associated within the same geological tectonic structure. Here we demonstrate that57Fe Mössbauer spectroscopy can assist geologists and mining engineers to effectively evaluate and determine whether kimberlite deposits are economically feasible for diamond mining. Yambissa, M.T., Bingham, P.A., Forder, S.D. : 30th International Conference on Ore Potential of Alkaline, Kimberlite and Carbonatite Magmatism. Abstract Book, 237, (2014). http://alkaline2014.com/ Last accessed 16 October 2015.